In this cookbook, food blogger Cindy Bokma takes familiar recipes and re-creates them for anyone dealing with a limited diet that can become extremely overwhelming. Health is like a line of dominos and once one falls, others soon follow. Most people have more than one issue that can be addressed by diet. But when gluten-free options lead you to almond flour and milk, for example, and almonds are rich in oxalates, you may then be put in the path of an illness or issue related to high oxalates. 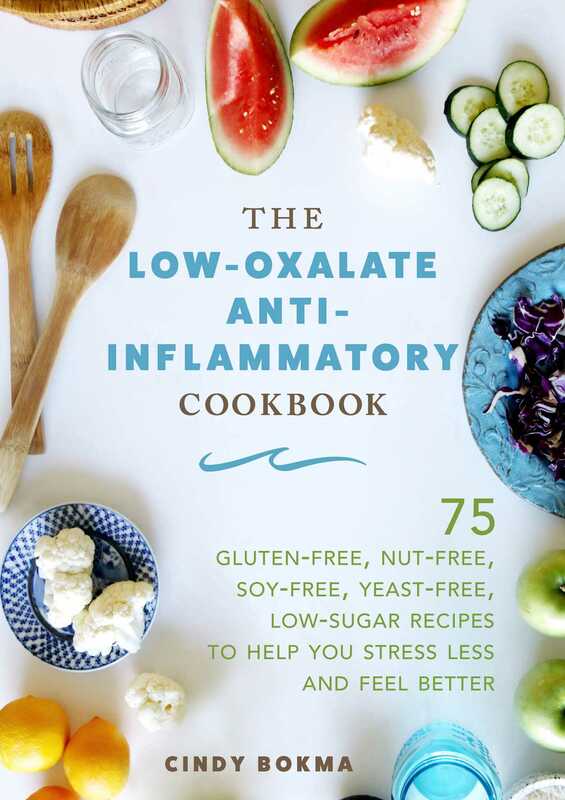 While much is known about gluten-free, low-carb, soy-free, nut-free, and low-sugar diets, this collection highlights oxalates, a naturally occurring but potentially inflammatory substance found in a wide variety of healthy plant foods, such as almonds, rhubarb, spinach, and more. These are, unfortunately, prominent in popular diets such as paleo and ketogenic. With Bokma’s guidance, you’ll learn how oxalates affect your body, in which foods they may be found, and how to adjust your diet so they don’t cause you inflammation or other issues. Recipes such as Chicken with Garlic and Tomato, Cheeseburger Burritos, and Easy Bake Apples are simple, familiar, and stress-free and will allow you to eat your favorite foods without worry.